The Sniper series attempts to enter a huge open-world environment. The cold and ruthless silence of sniping mixes even further with high-tech solutions and ghost-like infiltration in Sniper: Ghost Warrior 3, which is coming to PlayStation 4, Xbox One, and PC on January 27, 2017. While initially scheduled to launch within 2016, developer and publisher CI Games decided to give itself some breathing room to ensure the final product is as exceptional as possible. While time will still tell at this point, the latest entry in the series is shaping up to be a promising one. A key feature that makes Sniper: Ghost Warrior 3 a larger undertaking than previous entries is its open-world environment. This time around players are dropped in modern-day Georgia where they must work against impossible odds to prevent another Cold War from happening. The story centers on Jonathan North, a retired American Marine assigned to eliminate an intruder in Georgia with whom he happens to share a dark and mysterious past. The results are a sandbox-style experience that will have players thinking and acting on their toes while taking on a number of harrowing missions across different locations. Thankfully, players won’t be acting alone in the process. In addition to some fresh parkour-style moves and high-tech weaponry, one of the most invaluable devices is the Recon Drone. This scouting device allows for easier exploration of the Caucasus environment, throughout which plenty of potentially deadly situations await. Players can scout enemy outposts and prepare for infiltration or line up a long-range attack in advance. The drone will also come in handy for detecting exploitable structural weaknesses, pointing out hazards before they can surprise you, hacking computers, and a variety of other tactics that will offer a much-needed advantage when traversing unknown terrain. Speaking of terrain traversal, those bold enough to hit the roads will be able to do so in a vehicle that can be upgraded through various mods both discovered and crafted along the way. It’s not just a means of getting around, though, because the vehicle also acts as a mobile secondary safe house and a place to store weapons. Just because you can keep your stash in one place on the go doesn’t make it any less dangerous, of course. There are plenty of outposts and motorized enemies to up the challenge while rolling around the expansive landscape. Considering how much is going on in Sniper: Ghost Warrior 3, it’s definitely a good thing that the team at CI Games is taking its time. Open-world games are a dime a dozen these days, but they really have a chance to make an impact when given the right amount of care and attention to detail during the development process. We’ll be sure to come back and report on how things turn out once Sniper 3 is ready near the start of next year. Tags CI Games, first-person shooter, Game Reviews, PC, PS4, Sniper: Ghost Warrior 3, xbox one. 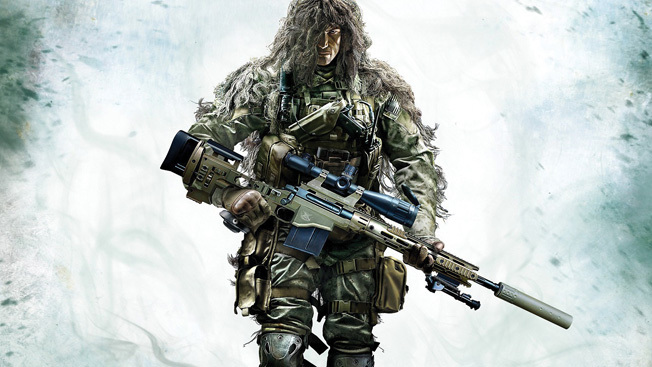 Definitely open world is big forward step in Sniper Ghost Warrior series. Dron will be some kind of facility because all of enemies will mark on map. For me this part of series will be different than previous one much more better, longer and interesting. I wait for this game so much. This article sounds promising. I’m very interesting how this game will be looks on release day. I agree with that open world will be something special, I hope this game will not be linear because previous part was that. I agree that previous parts ware a bit linear. Keep in mind that it would be very hard to make open world game linear 😀 so I am sure that SGW3 will be cool I don’t like the idea of being able to drive a bus from point A to B in a war zone, but we will see how it is going to come out in the game. When I found in net this information about 3rd part of Sniper I was afraid, that this game will be similar to 2nd, looks different, and there is a lot of improvements. If They used all of tips from users, from previous parts, This maybe will be best game in whole series.